What are the best Screen doors on the market? Say goodbye to outdated screen doors and breathe a better, fresher view. 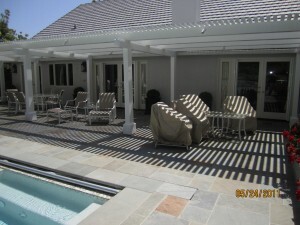 Retractable screens glide smoothly and smartly bringing the best of outside in. Providing breezy cross-ventilation and expanding your space, retractable screens block the sun’s rays, as well as insects and dirt. 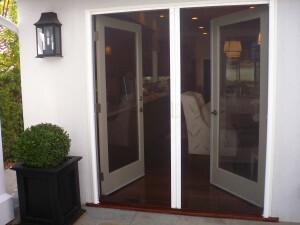 They eliminate the need for storm doors and enhances the style of almost any door or window. When not in use, it glides away into an attractive, self-protective casing. 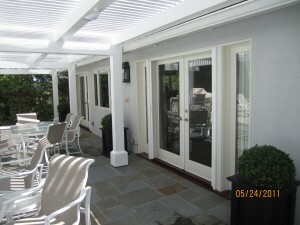 A refined, elegant solution for French doors, patios, lanais, decks, sun porches, sliding patio doors – you name it. You select your favorite color, style, screen texture, UV filtering, and latching options. The best swinging door for a lot of traffic is the Extruded aluminum screen door, it is heavy duty and extremely sturdy. This door comes in many colors but make sure you get a baked enamel finish. This is the best finish because it does not chip or fade and stay in excellent condition for years. The finishes come in original silver anodized or grey anodized, white, bronze, tan, black and some others. 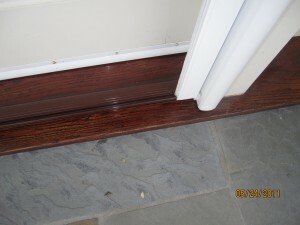 Then you have the Roll form Swinging screen door which is a little less expensive and can get the job done. They are very light gauge aluminum and not very sturdy. If you need a screen door somewhere in your home that is not going to get a lot of traffic going through it, then you might consider the Roll form swinging screen door. My advice is if you have kids or pets do not buy a roll form screen door, it wont last as long ans a Extruded screen door. 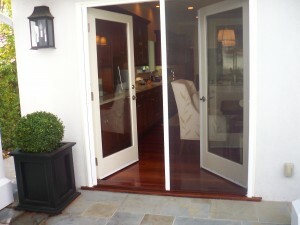 Wood screen doors are very nice and come in many finishes. The problem with wood screen doors is they warp. Wood need to be maintained and unless you know of a good handyman I would strongly suggest you stay away from wood screen doors. The best sliding screen door for a lot of traffic is the Extruded aluminum sliding screen door, It is heavy duty and extremely sturdy. You can also get this door in a few different finishes and make sure that it is a baked enamel finish so you can make sure that it will last you for years without chipping or fading. you can ad a pet door which will protect the bottom portion of the screen from tearing. this is called a pet protector or pet grille. Make sure the sliding screen door comes with all metal parts, especially the rollers, handle and lock latch. One of the key things to look out for is metal ball bearing rollers and a thick frame gauge, if you have this you should be O.K. 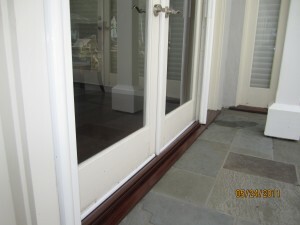 Avoid Roll form sliding screen doors like the plague, they will only frustrate you every time you have to open them. I do not recommend buying these light weight usually made out of tin or steal screen doors. 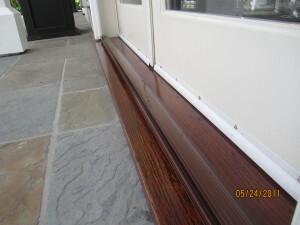 I hope that this will give you a better idea of what type of screen doors there’s out there. Before buying always ask yourself, what kind of use will this door get? Good luck. 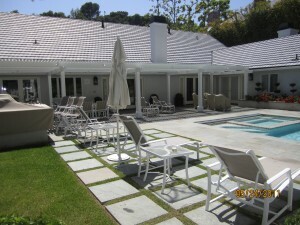 If you’re searching for Screen Doors in Westlake Village 91359,91361,91363 area, or other near by areas, here are some other cities we service.